Reason: The return of Tom Brady and the suspension of Steelers RB Le’Veon Bell will give the Pats the win. Texans lack a offensive threat and with Kansas City’s rebooted receiving core, the Chiefs seems to have the better offense. Reason: Honestly does Cleveland have anyone that can score? As mediocre as he is, Ryan Fitzpatrick is a whole lot better then Josh McCown. Brandon Marshall helps too. Reason: It’s a upset, but I believe that Buffalo’s defense is one of the only defenses that can contain Andrew Luck. Just ask Aaron Rodgers. Reason: It’s just a mess, the Skins are in panic mode, new Dolphins defensive tackle Ndamukong Suh is going to destroy the Skins offensive line. Scary. Reason: If there is any more of a good time to show themselves then now? The Panthers have no receivers, the Jags has some. In addition, Blake Bortles will show his growth. Reason: The Rams have been a popular candidate to be a playoff team. I disagree. Nick Foles has not looked good and having the best defensive line doesn’t matter if you can’t cover Seahawk TE Jimmy Graham. Reason: The Cardinals were the most dominant team till Carson Palmer tore his ACL. I think the Cardinals will surprise people. However, don’t count out Saints QB Drew Brees. It will be a close game. Reason: While the loss of Suh hurts the Lions, they still have a good defense otherwise, and the Chargers have their fair share of playmakers. Who ever has the best run game will win. Reason: Bucs QB Jameis Winston hasn’t impressed much but the defense of the Buccaneers are better the Titans offense. Bucs HB Doug Martin could surprise some. Reason: The Raiders will surprise many this year. However the Bengals have been more consistent and that alone will get them the victory. Reason: The Broncos simply have more talent on offense then the Ravens. While defense wins championships, offense puts numbers on the board. Reason: The Cowboys lost DeMarco Murray but they still have everyone else. The Giants defense doesn’t wow anyone and the Giants offensive line is unproven. 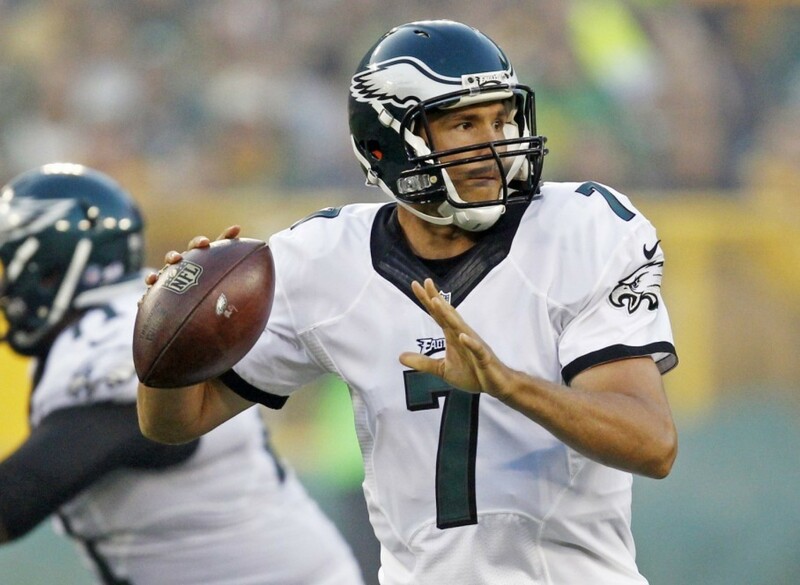 Reason: Here comes Eagle QB Sam Bradford, if heathy, the Eagles might live to their preseason hype. The Falcons will improve but usually takes time. Reason: The Vikings look like the best up and coming team in league. San Francisco? Talk about damaged goods. They lost pretty much everyone. This might get messy.